“Beginning Saturday, November 25, and continuing through Sunday, December 10, 2017, Metro will undertake a major capital improvement project on the Red Line involving the complete replacement of a mainline interlocking, a location where trains cross from one track to the other. During this time, there will be no Red Line trains operating between Silver Spring and Fort Totten, and Takoma Station will be closed. During the project, Red Line trains will operate in two segments: between Shady Grove and Fort Totten, and between Glenmont and Silver Spring. Customers should allow additional travel time and expect some crowding, as trains will arrive less frequently than normal. Free shuttle buses will provide limited service between Silver Spring, Takoma and Fort Totten stations. The work involves a four-mile section of track and requires both tracks be taken out of service simultaneously due to the complicated process needed to rebuild the interlocking, upgrade signals, replace rail ties and install more than 800 feet of new rail. The scope of work also includes the installation of new power cables, grout pad replacement, leak mitigation and additional preventive maintenance. The work, which will impact 10 commuting days, was scheduled between Thanksgiving and the winter holidays when ridership is lighter. Service on the Orange, Silver, Blue, Yellow and Green lines will continue to operate normally. 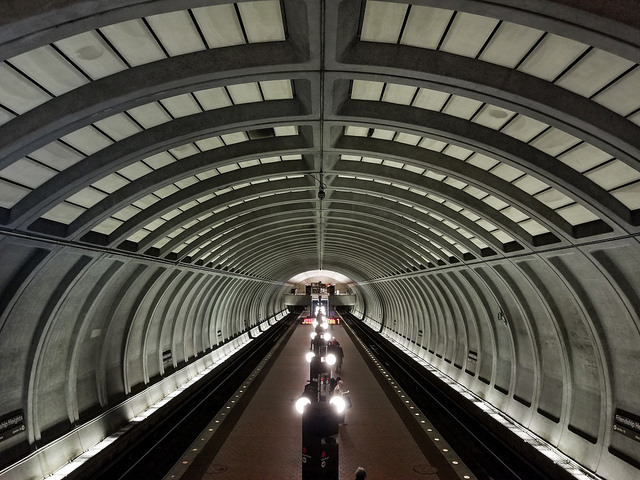 This is the second of three track work projects planned during FY2018 as part of Metro’s new program of preventive maintenance and planned capital work announced in the spring. The first capital project on the Green Line was completed in August and work is scheduled to rebuild the interlocking outside the Huntington Station on the Yellow Line in May. On weekdays and the weekends of November 25-26 and December 9-10, buses will replace trains between Silver Spring, Takoma and Fort Totten stations. Customers who normally use Takoma, Silver Spring, Forest Glen, Wheaton or Glenmont are strongly encouraged to use other Red Line stations, travel during off-peak times or consider alternate travel options. On the weekend of December 2-3, the work zone will be extended to Glenmont to accommodate the installation of radio communication cables and additional preventive maintenance. Glenmont, Wheaton, Forest Glen and Silver Spring will also be closed. Customers traveling between Glenmont, Wheaton, Forest Glen and Silver Spring stations should consider using regular Y- or Q-line Metrobus service along Georgia Ave.